Cloud computing services providers backing the OpenStack software standard aim to build momentum with the upcoming release of Havana, an upgrade aimed at speeding up OpenStack adoption by the biggest companies. Due this month, Havana is expected to iron out some of the technical issues uncovered by enterprises that have been testing OpenStack in data centers. 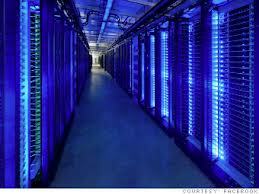 Cloud services providers rent servers and storage to enterprise customers via the Internet cloud. Open-source software licensed freely, OpenStack connects data centers to cloud services. Companies in the OpenStack camp include IBM (IBM), Hewlett-Packard (HPQ) and Rackspace Hosting (RAX). Rackspace and NASA developed OpenStack. The OpenStack companies and other cloud services providers are all battling the 800-pound gorilla in the infrastructure-as-a-service (IaaS) market. That would be Amazon Web Services, a unit of e-commerce king Amazon.com (AMZN). Amazon and another cloud biggie, VMware (VMW), are among those not in the OpenStack camp. AWS by some estimates holds 70% of the public IaaS market. Research firm 451 Group forecasts that IaaS services revenue will more than double to $10.2 billion in 2016 from $4.47 billion this year. The biggest enterprise customers have been slow to move big computing workloads to OpenStack. Even so, 451 Group forecasts that revenue for OpenStack service providers will jump to $1.22 billion in 2016 from $483.5 million in 2013. OpenStack faces many hurdles. Amazon’s dominance is one. Another is that many corporate data centers use VMware’s server software . One plus for the OpenStack camp is that Red Hat (RHT), a leading provider of Linux server software and a VMware rival, has lined up behind the software standard. Analysts say AWS is expected to stay dominant in public IaaS services. But many U.S. companies are interested in “hybrid” cloud computing that meshes both private and public infrastructure. The hybrid model lets corporate IT departments outsource some workloads, while keeping others in-house for security and other reasons. OpenStack has targeted the hybrid cloud market, but so have Amazon, VMware and others. OpenStack’s success will depend a lot on how fast it gains traction in hybrid cloud environments. OpenStack has gained some momentum as some tech heavyweights adopt the standard. IBM, which acquired IaaS firm SoftLayer for $2 billion in June, says its future cloud products will be built using OpenStack. Oracle (ORCL), which acquired cloud software firm Nimbula in March, is plugging OpenStack into its infrastructure, analysts say. OpenStack backers have been looking forward to the new release, code-named Havana. Further upgrades to OpenStack are expected after Havana, as cloud competition mounts. Google (GOOG), for example, aims to provide a wide swath of cloud computing services. Microsoft (MSFT) has stepped up investments in its Azure cloud service. Like Amazon, neither embraces OpenStack. Rackspace’s revenue growth has slowed as customers take their time evaluating OpenStack. “While management does a great job promoting the long-term opportunity, we expect near-term results to remain choppy,” Horan said in his report. The biggest users of IaaS cloud computing services have been small and midsize businesses. Worries over data security have held back larger companies. Big companies working with OpenStack in their cloud computing environments include eBay’s (EBAY) PayPal, cable leader Comcast (CMCSA) and electronics retailer Best Buy (BBY). Rackspace say its OpenStack customers include Fidelity Investments and the Sony (SNE) PlayStation unit. Rackspace hasn’t confirmed speculation that Wal-Mart (WMT) is testing OpenStack. Cloud computing has presented businesses with significant opportunities, including more agility, streamlined processes and lower IT costs.